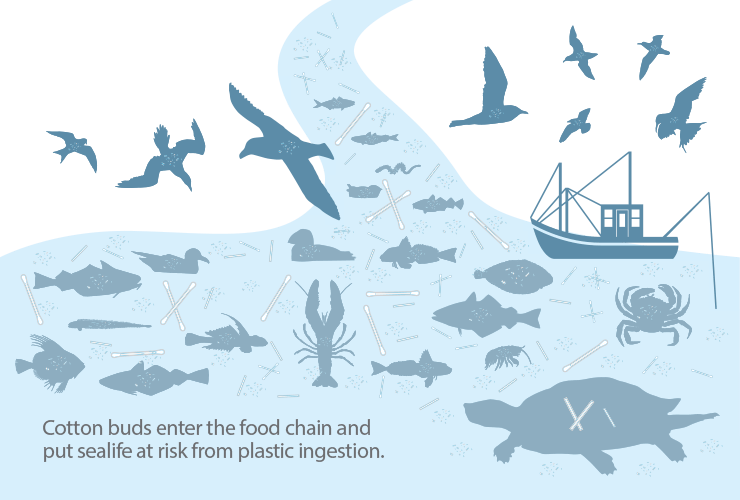 Plastic cotton buds are found on beaches and in waterways around the world. The high number found in the UK and especially Scotland is cause for concern. 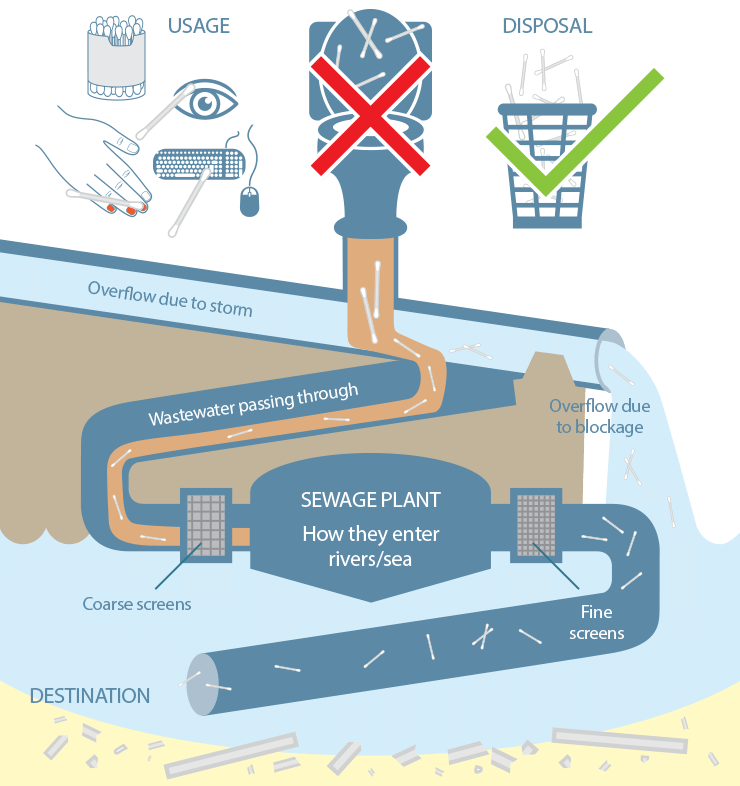 Plastic cotton buds are among the thousands of sanitary products flushed down toilets everyday instead of being put in the bin. Why are plastic cotton bud sticks on our beaches a problem? 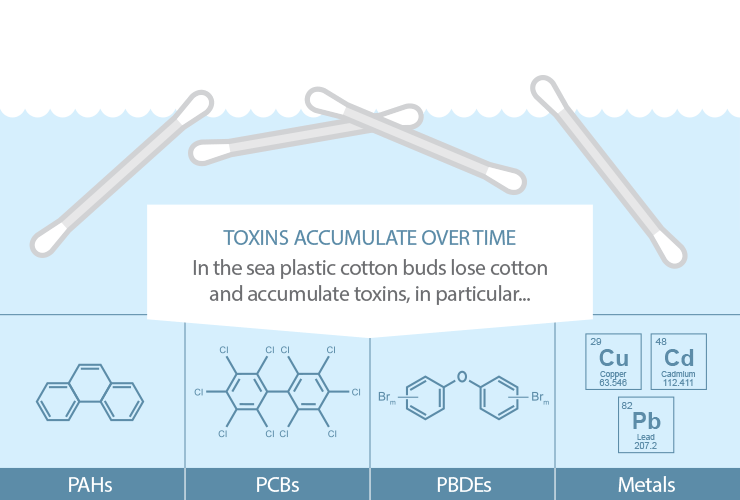 Cotton buds largely go unnoticed because they don’t cause major blockages in the sewage systems and many pass through to end up on our beaches, where they are often hard to spot amongst the seaweed and other debris. 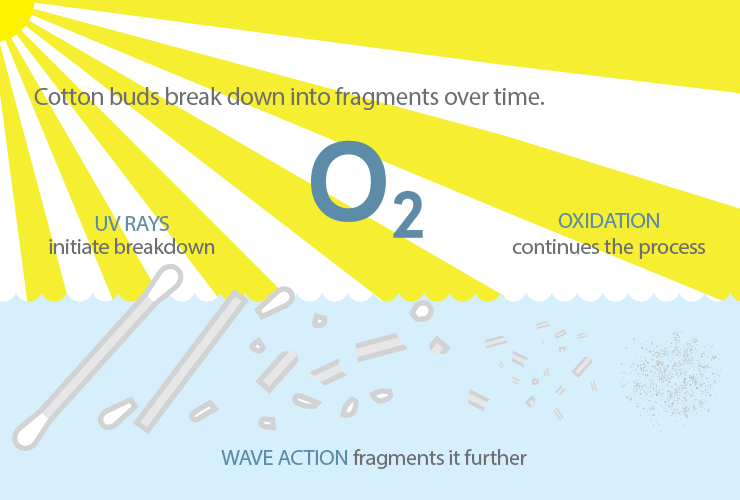 However, scientists are becomingly increasingly concerned about the effects of all plastics in the marine environment. Being made of plastic they will persist for hundreds of years, getting weathered and fragmenting into smaller particles but always present. They can be ingested by marine life, causing physical damage or starvation, and releasing dangerous chemicals either incorporated into the plastic itself or adsorbed from the environment.